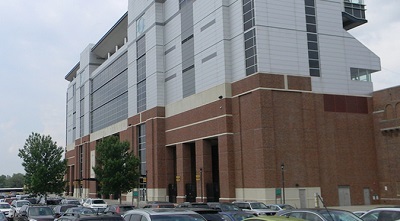 The stadium is named after Nile Kinnick, a former player of the American football team of the Iowa Hawkeyes who died in service during World War II. The Iowa Hawkeyes are members of the Big Ten Conference. The Iowa State Cyclones are their arch-rivals.